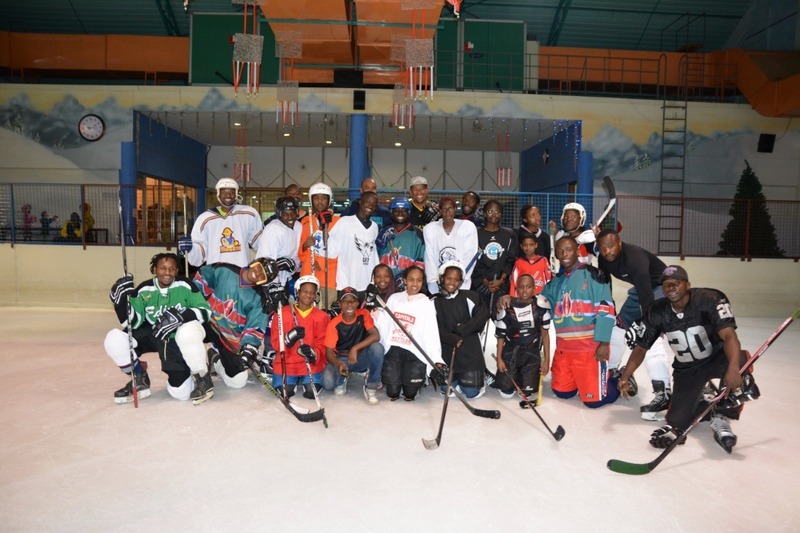 ICE HOCKEY DREAMS IN AFRICA! 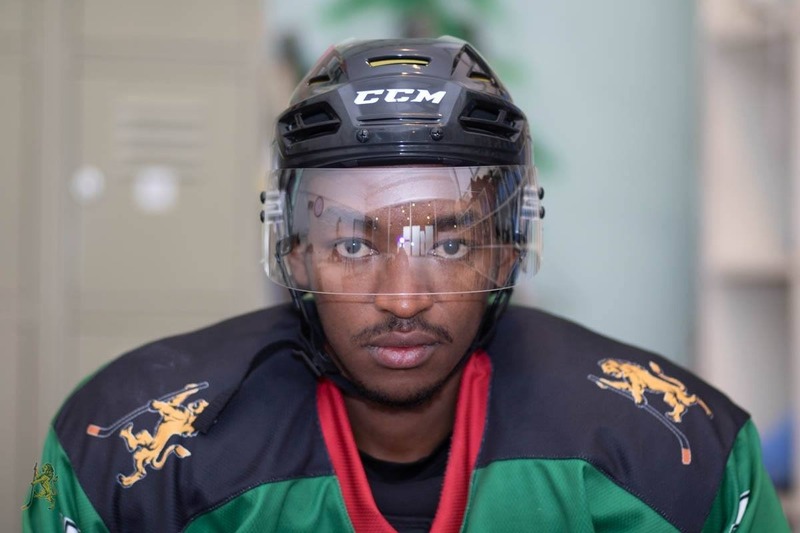 The coolest sports story in Kenya might no longer belong to a marathon runner but some crazy Kenyans on ice with hockey dreams. 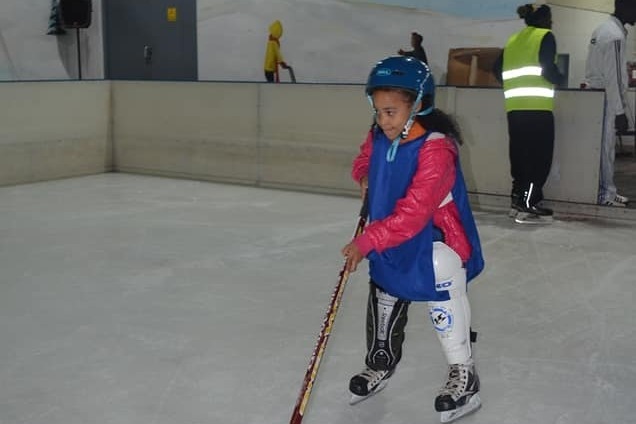 Yes, there's now ice hockey on the equator in the land of lions and elephants! It's a big dream, but big dreams are cool. I big thanks to Everything Hockey who donated a huge $1,050!!! for this dream. Huge thanks to Tim Hortons for this. and yet more from the Toronto Star ! We hope to have jerseys for sale as a fundraiser within two weeks. Thanks for the interest in this. 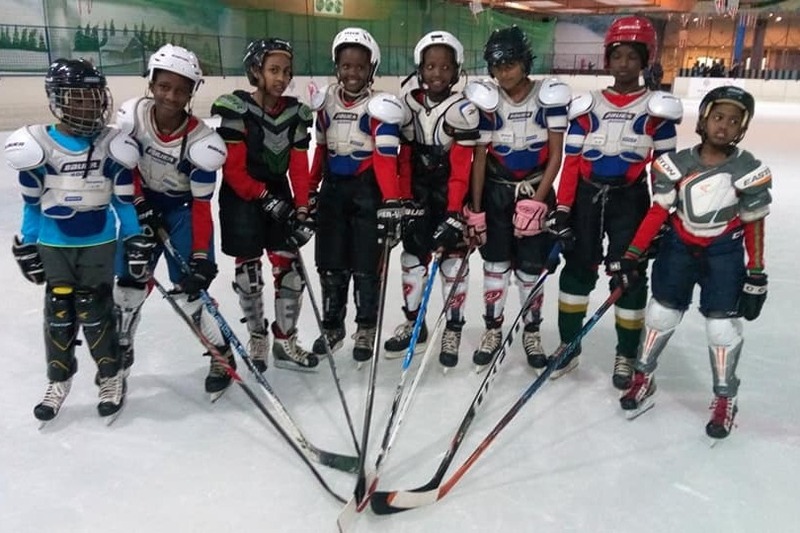 Founded in Nairobi, Kenya in 2006, the Kenyan Ice Hockey League encourages participation from male and female ice hockey players of all skill levels, ages and backgrounds. 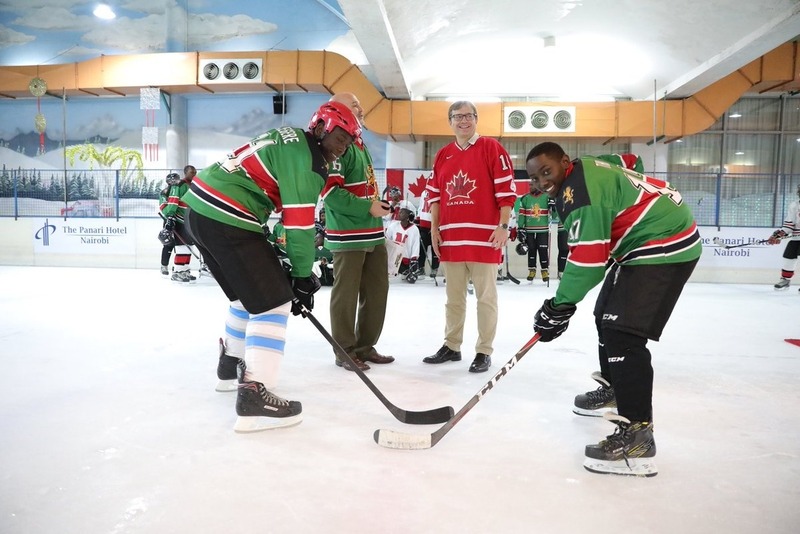 Our long-term goal is to contribute to the development of a competitive ice hockey program in Kenya that would lead to the creation of a national team. 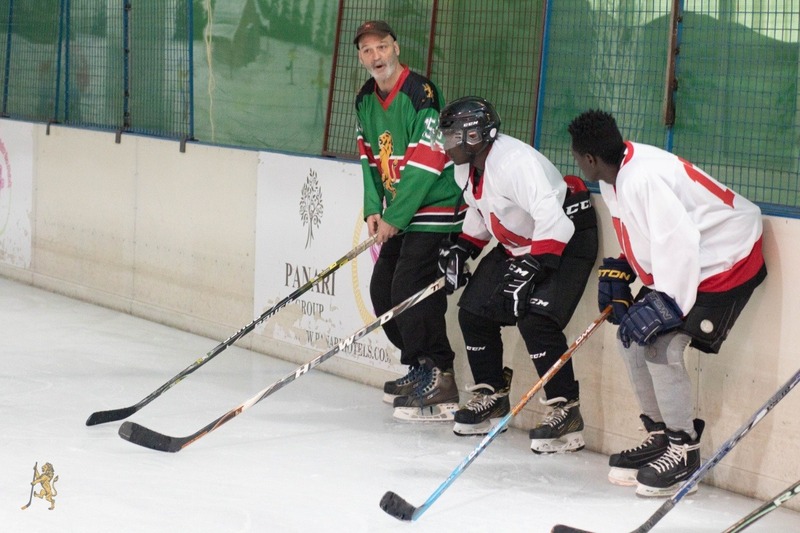 It is essential therefore that greater Kenyan participation be more actively encouraged – particularly among youth. 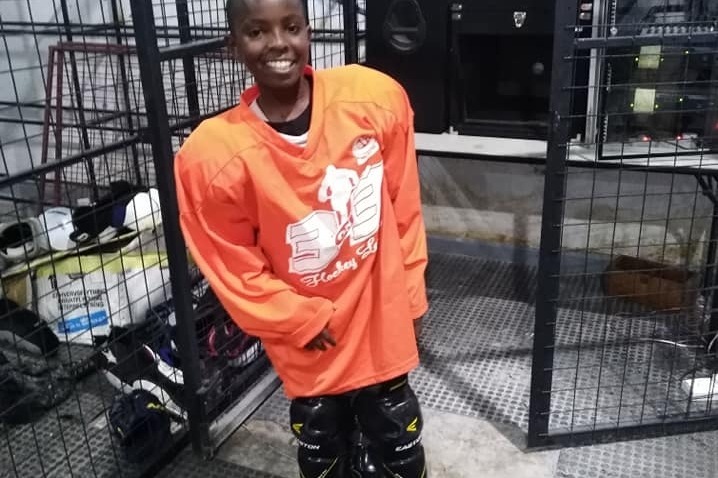 To this end we seek corporate and or private sponsorship for the creation of a Kenyan Youth Hockey Scholarship program. 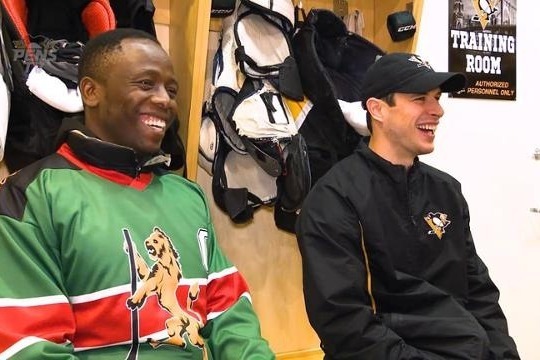 Of course, it's hard to start a hockey team without borrowing a little from Canada. 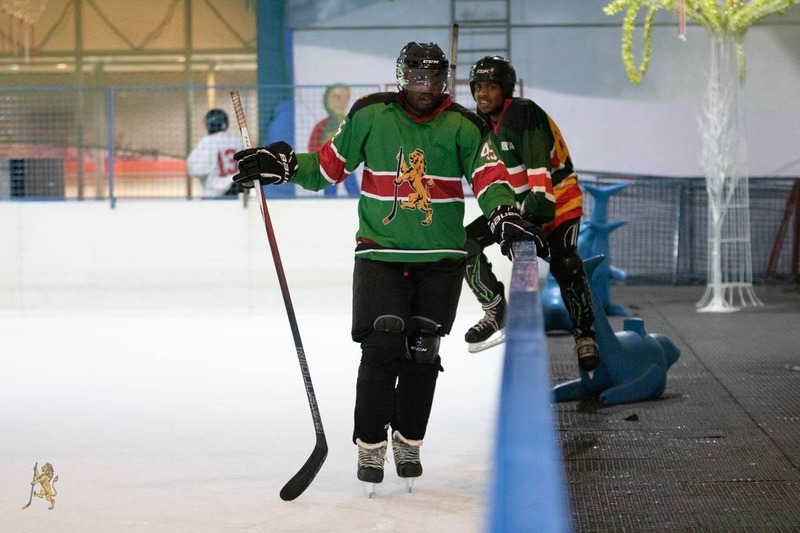 The Kenya Ice Lions, led by Ben Azegere , Ali Kilanga, and Rob Opiyo, have enlisted Tim Colby, a Canadian now living in Nairobi, Kenya to help coach and fund raise. 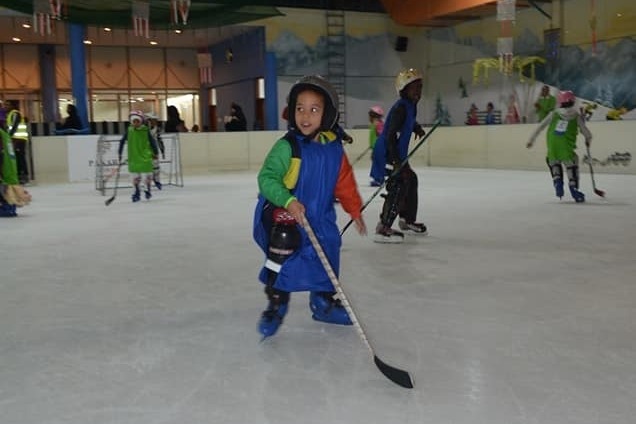 We have a small ice rink here where we play and practice a few times a week, it's the only ice rink in East Africa. We now have over 28 Kenyan kids and adults playing and they're really into the game. 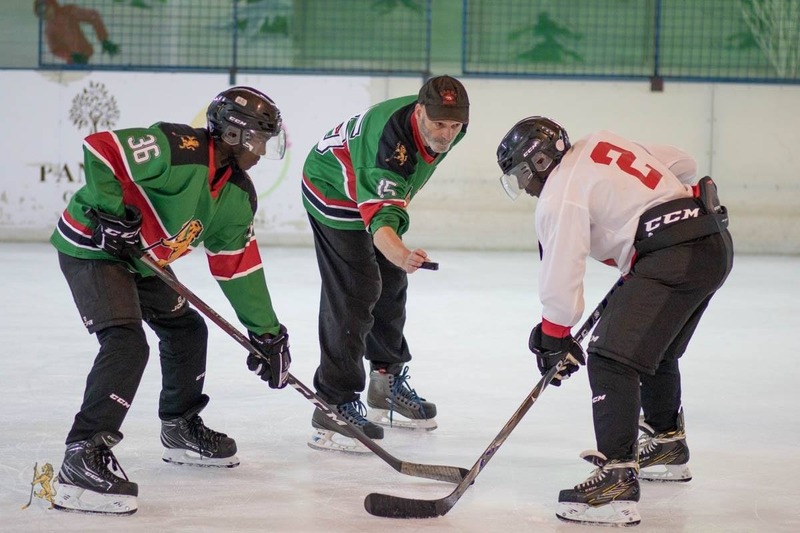 The Kenyans are looking to take the game here a step higher but are in need of some help. We've applied to be an official sports federation in Kenya (a very long process). 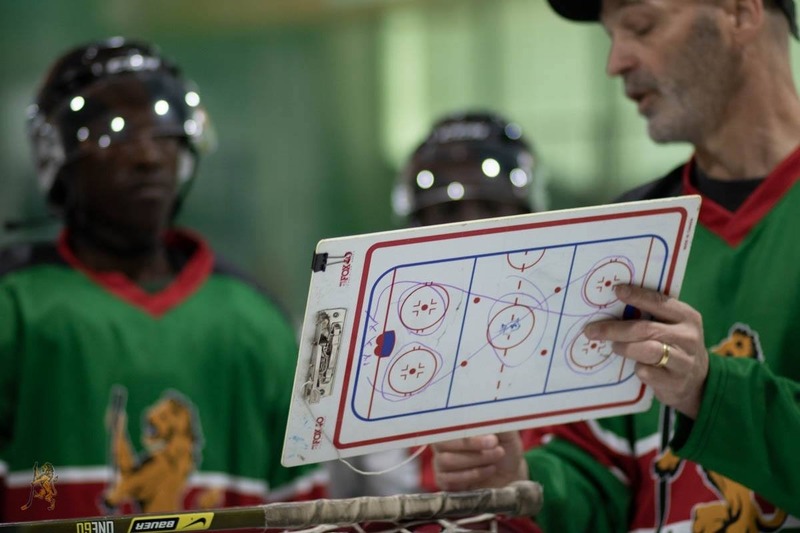 In the meantime, we've worked out a three year budget to get the game entrenched and sustainable in Kenya (see below) and all donations will go to this budget and all expenses will be put up on the team's website that we are developing. 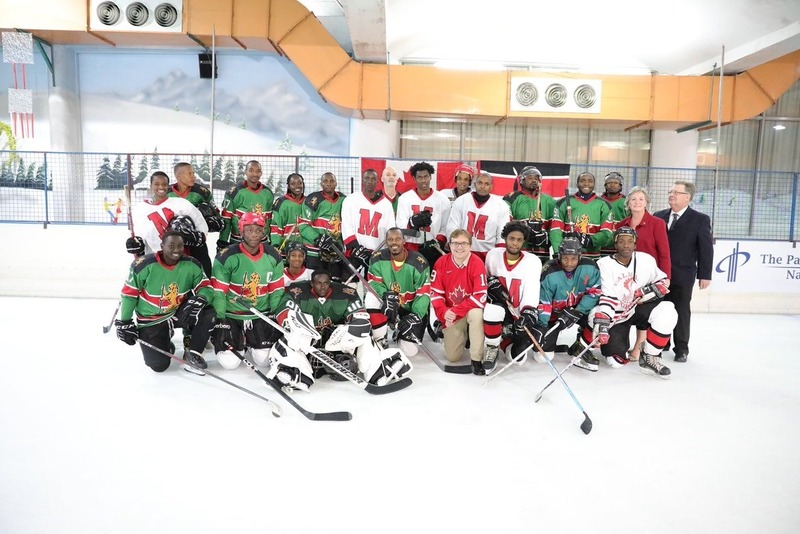 Any donation helps and will not only spread the great game of ice hockey in Africa but contribute to the benefits that team sports can have in a person's life. 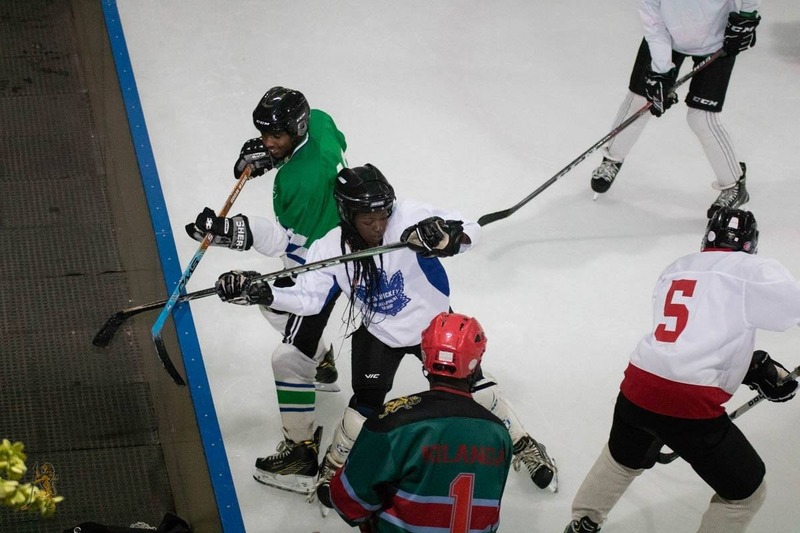 - Mentorship with Canadian Houseleague team. 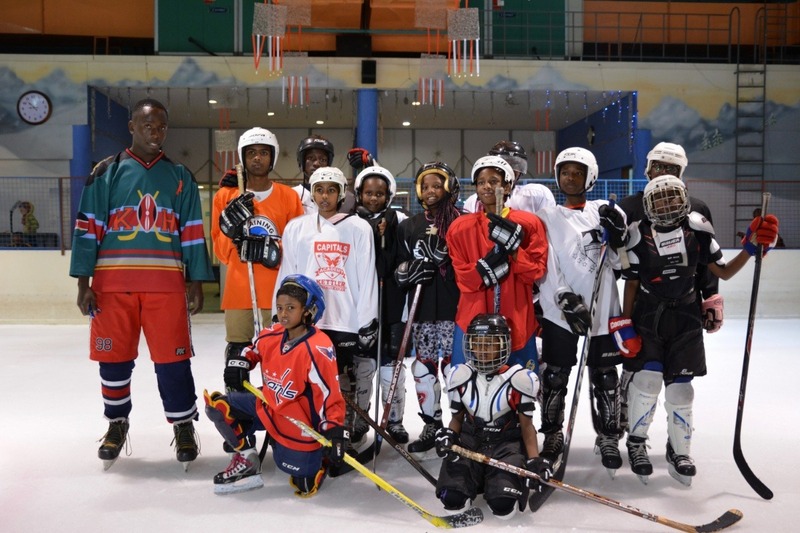 Help us spread the Ice Lions story! 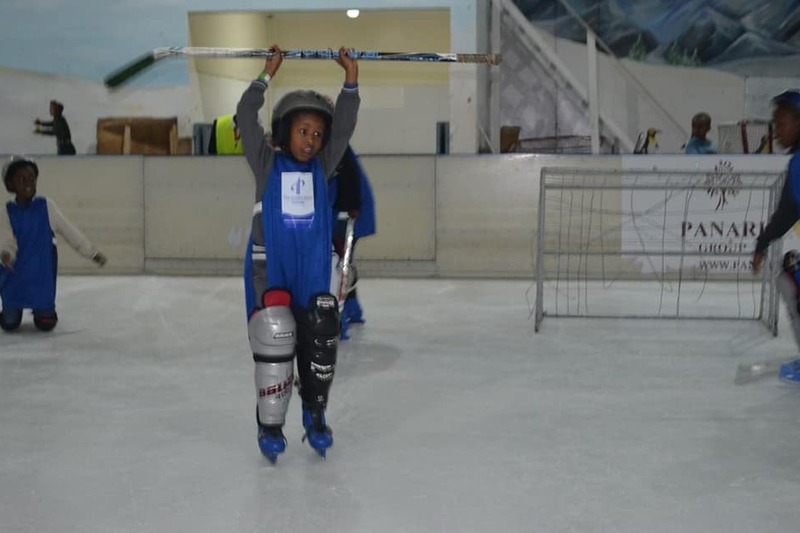 There's more on the off ice lives of our Ice Lions.